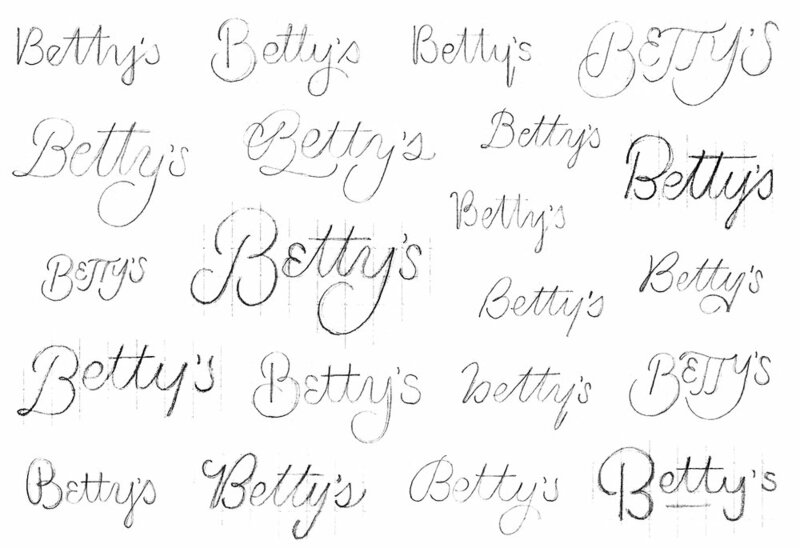 Betty’s Eatery is a classic breakfast and lunch diner that is meant to remind you of your Southern grandma’s cooking. A weathered logo with a vintage aesthetic was the outcome after supplying Josh of Josh Capeder Design Co. with a number of prelim lettering sketches. art direction — josh capeder design co.